Advances in cancer management will require the development of new therapies that can be tested in clinical trials, state-of-the-art imaging technologies to assess response to those therapies, and innovative research that can lead to the development of even more powerful imaging technologies in the future. 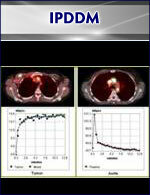 There is a vital need for quantitative assessment of cancer therapy response. 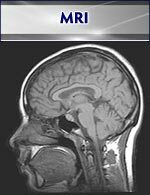 Computed tomography (CT) and standard magnetic resonance imaging (MRI) cannot provide information on the biochemical and physiologic properties of cancer tissues. 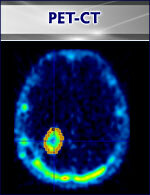 The Hillman IVIF provides novel quantitative imaging techniques that trace biomarkers of molecular events associated with effective cancer therapy. Early imaging of such fundamental molecular pathways corresponding to effective treatment is now playing an increasingly vital role in patient cancer therapy management. Development and use of quantitative imaging for early therapy assessment will become critical to future management by sparing patients weeks or months of toxic and ineffective treatment. 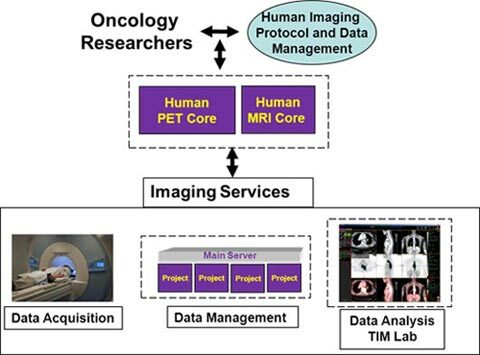 Oncology researchers interact with Image Protocol Development and Data Management (IPDDM) personnel to design biomarker assessment research protocols.